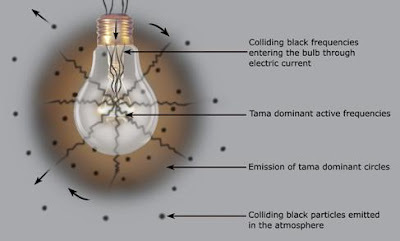 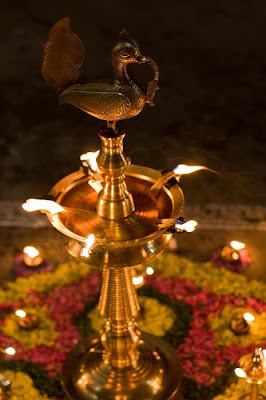 HINDU RITUALS AND ROUTINES...: Why Do We Light A Lamp? 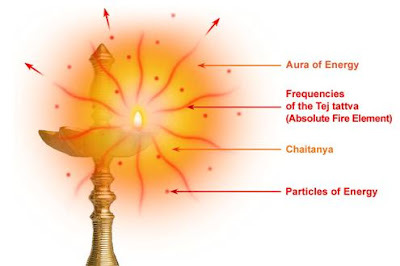 * When the oil lamp stops burning the predominance of raja particles in the atmosphere is enhanced and lasts for half an hour. 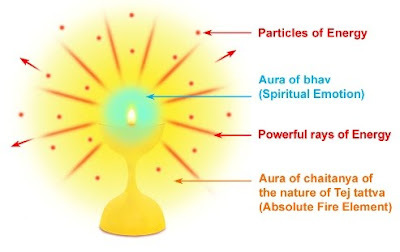 On the other hand when the ghee lamp stops burning the impact of sattvikta (the quality of being sattvik) on the atmosphere is experienced even after four hours.